While exercising at the gym inside my club house, came two new young male members. I believe they are university students. The way they spoke with an American slang, let me guess they could be our local children who came home for their vacation break. They look like rich family children with a strong intelligent personality. As they were pumping those irons, dumbbells, short and long iron bars, and various weights were all thrown across the floor. Since they were seriously working on the weights, I moved further away and instead ran on the treadmill. One hour later, I could see they were packing their belongings and were preparing to leave the gym. As they were moving out, they just left those weights and irons on the floor without putting them back to the original places. I was very disturbed by their manner. Before they could reach the exist, I stopped them for a moment. I said.. "Young man! Have your finished?" One of them replied as Yes. I continued, "If you had done your exercise, please put back those used items where you had taken them. This is our club's rules & regulations." Reluctantly they both turned back to pick up those dumbbells and placed them at the appropriate place. I could see many other heavy weights and irons were still on the floor. And I knew they both were not happy with my instruction. As they passed my way, I gave them my good thumb's sign with a smiling gesture for them. They left without a smile. Morale of the story: They could be very intelligence but without responsibility, they had lost my respect for them. This incident could almost confirmed that one might have the intelligence, might not have a full sense of responsibility. Intelligent people are usually prideful and boastful. Intelligent person has the ability to learn but seldom they apply what they have learned. Forgotten to relate this part. Non of the other gym members who were there and who had also seen the happening, took the effort to pause these youngsters. You know what? They could be smart to see the wrong of them, but they didn't have the guts to approach and speak their mind. Being smart and not having courage isn't smart then. Smartness is the ability to apply what you had learned. I'm not intelligence but I think I have a little smartness, plus a lot of braveness and courage. 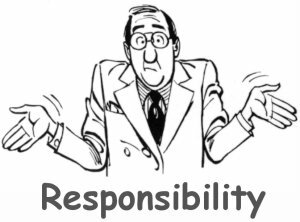 "It is easy to dodge our responsibilities, but we cannot dodge the consequences of dodging our responsibilities" - Josiah Charles Stamp quote. Someone who thinks he is smart but is actually very stupid. People are quick to evaluate and form perceptions of others within seconds of meeting them. Impression formation is defined as the process of making initial judgments of others based on limited information. The perception of intelligence can weigh heavily upon impression formation. Not only does the intelligence label affect ones opinion of others, but it can also influence their behavior towards others. Perceivers often over-generalize initial impressions of intelligence to apply to other characteristics. In addition, people may assume other characteristics are representative of intelligence. For instance, people may assume that level of education, physical attractiveness, type of dress, and/or speech patterns represent the individual’s actual intelligence level. In college environments, the type of school a student attends is often seen as indicative of intelligence. Foo, as a perceiver you are likely to over-generalize the meaning of school choice to basic levels of intelligence. Meeting new people is an inevitable part of your life. Therefore, it is important to understand the inaccuracies of quickly forming impressions of others. Do you know that in the absence of real knowledge about academic and socioeconomic status, you will rely on stereotypes when making judgments about another person? You are really intelligent. Thank you for sharing. It is important to be intelligent. You can be intelligent even if you don't go to university. Being intelligent means paying attention to the world around you, being observant, and thinking logically and creatively to solve problems. Having a high level of intelligence is important. Intelligence defines the term "intelligence" as the ability learn and use that knowledge in a constructive manner as well as the ability to use abstract reasoning and logic. Throughout school, people are taught to perform well in study and tests. How smart they are is ranked and they are provided with resources according to that rank. Throughout the workplaces, people are encouraged to come up with ideas and solutions. Meetings upon endless meetings, people battle each other to who is smarter. As such, honesty is assumed, an afterthought, a stepchild. Somewhere along the long road of childhood and adulthood, honor and integrity are often left behind. If they are still hanging on, they aren't given front seat status. I'm here to tell you that it's not enough to be smart. At the end of our short time here on this earth, we will look back at what all we've done. Some good, some bad. But the occasions we would be most proud to remember are those times we won the approval of God and not the crowd. I bet they weren't the times we were so darn clever. That's all too common. We must have personal standards, unwavering to pressure if we truly value them. Being honest and honorable may not seem immediately beneficial but invaluable for living the life we want to live. I saw your smiling face on your blog and certainly you do have a very intelligent look my dear. And thank you for sharing. Although people often associate having emotional intelligence with having a good moral character, a study published in Psychological Science found that emotional intelligence can be used for good or for evil. In the first experiment, volunteers were measured on their moral identity. People who had a high moral identity were kinder to others. In the second experiment, volunteers were measured on how Machiavellian they were and on a number of behaviors that have hurt others in some way. People who were Machiavellian were more likely to have maltreated others, and this effect was particularly strong for those who were good at emotion regulation. These findings show that being emotionally intelligent does not necessarily make you a saint. People can use their skills to hurt others or pursue selfish goals as well. Just as with power, with great emotional intelligence comes great responsibility. Accurate analysis requires accurate perception. A central focus of this book is to illuminate the role of the observer in determining what is observed and how it is interpreted. People construct their own version of “reality” on the basis of information provided by the senses, but this sensory input is mediated by complex mental processes that determine which information is attended to, how it is organized, and the meaning attributed to it. What people perceive, how readily they perceive it, and how they process this information after receiving it are all strongly influenced by past experience, education, cultural values, role requirements, and organizational norms, as well as by the specifics of the information received.